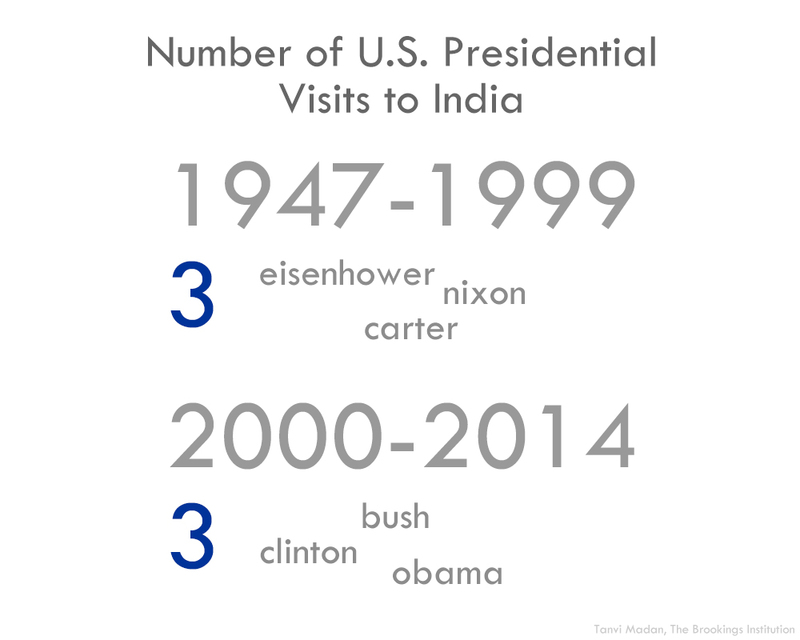 As Indian Prime Minister Narendra Modi visits the United States, it’s worth putting the India-U.S. relationship in perspective and considering how far it has come in recent years. 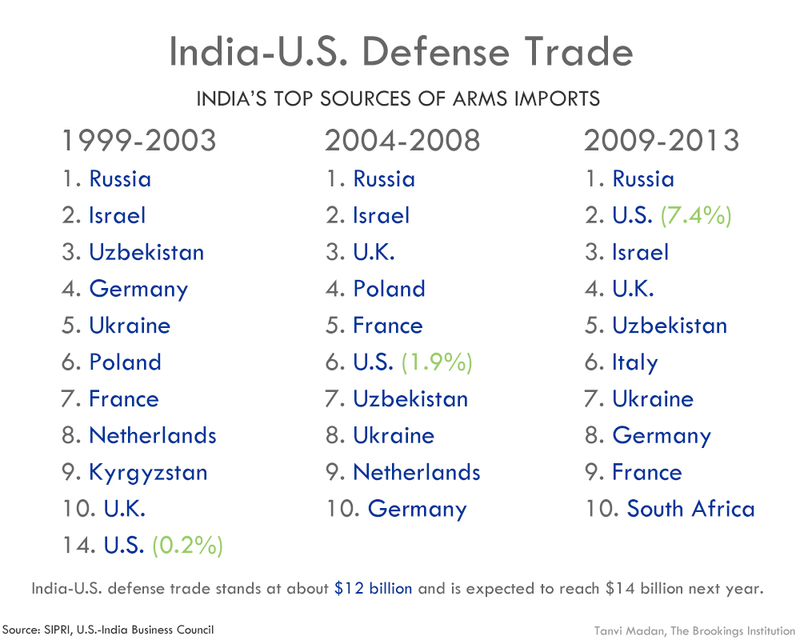 Fifteen years ago, there were U.S. sanctions on India. 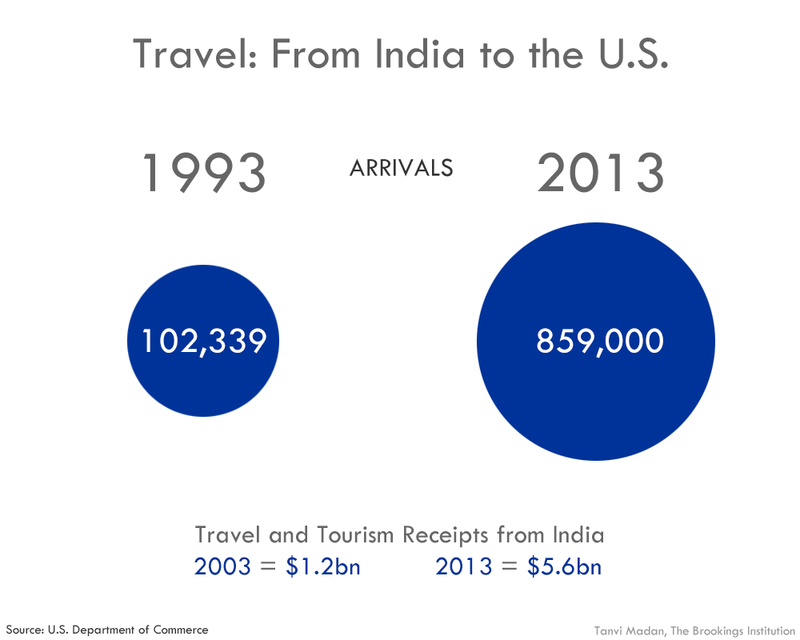 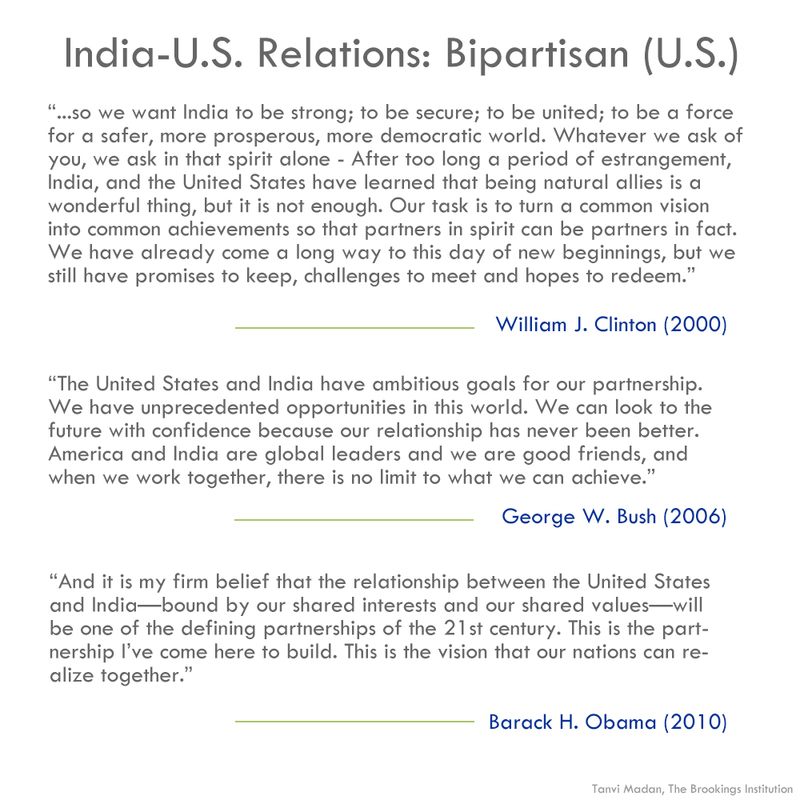 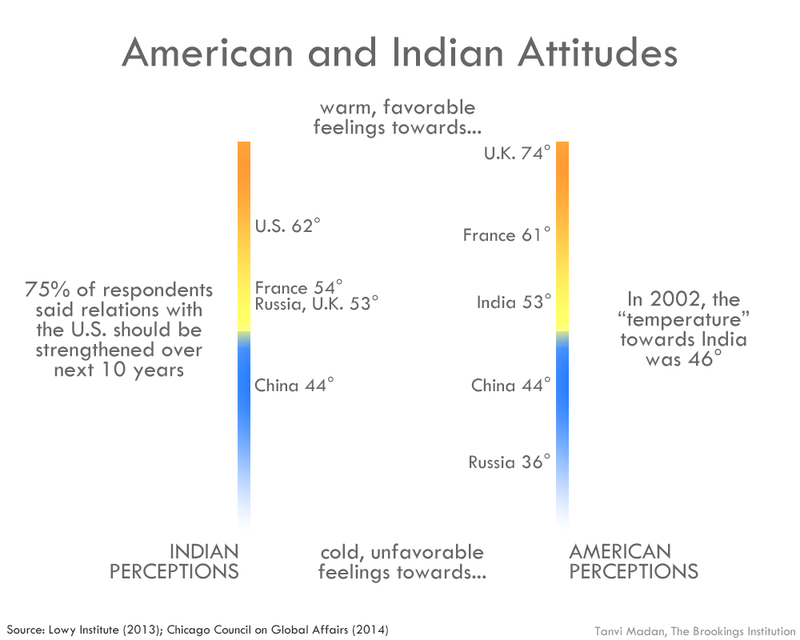 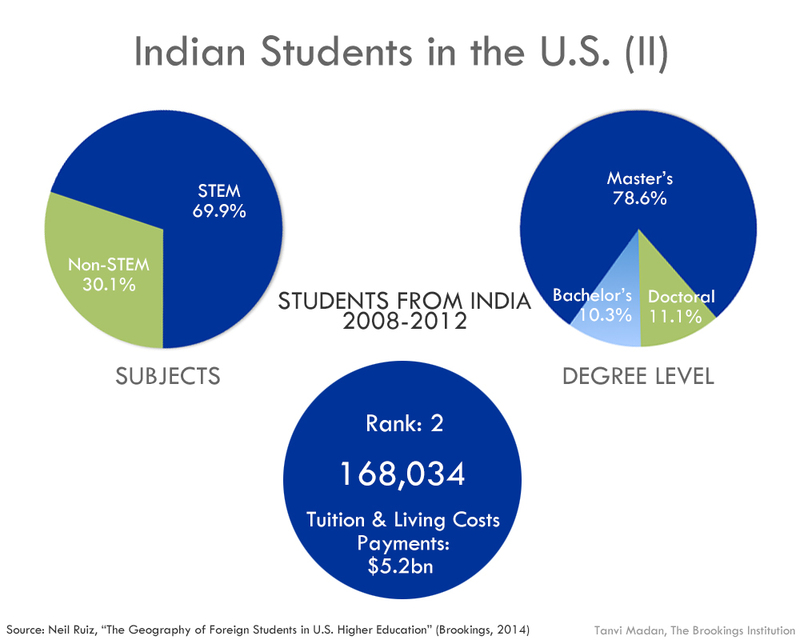 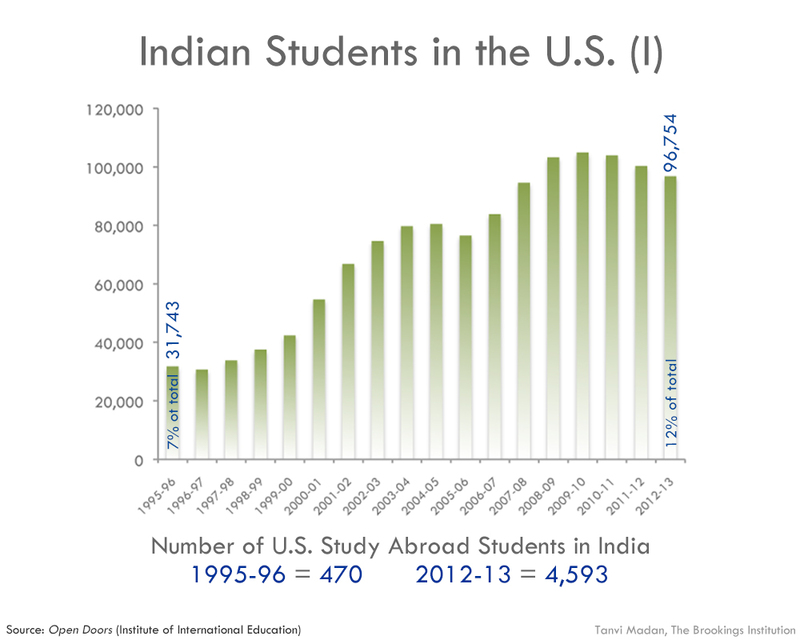 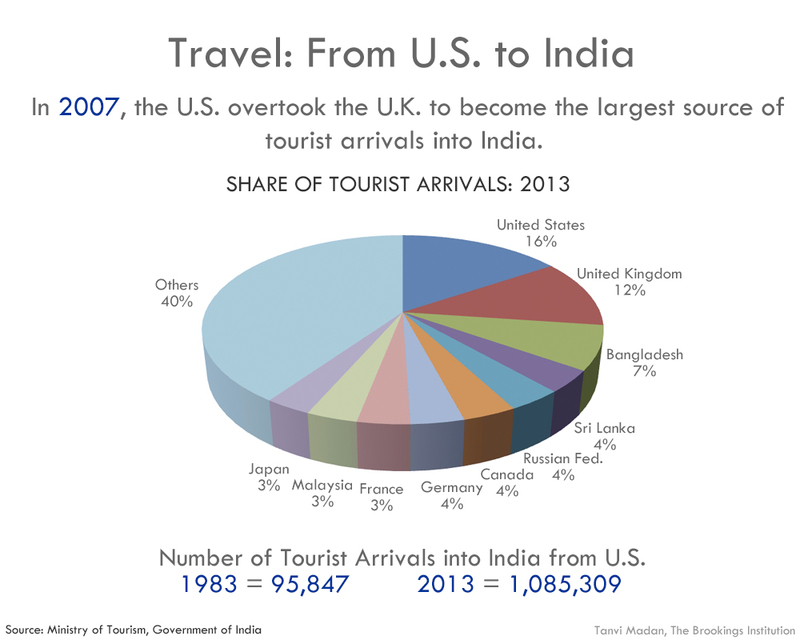 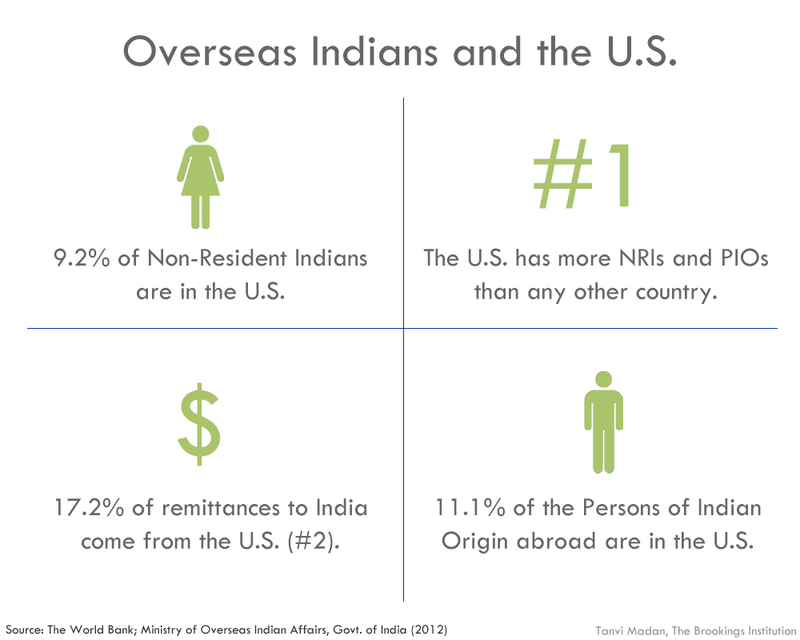 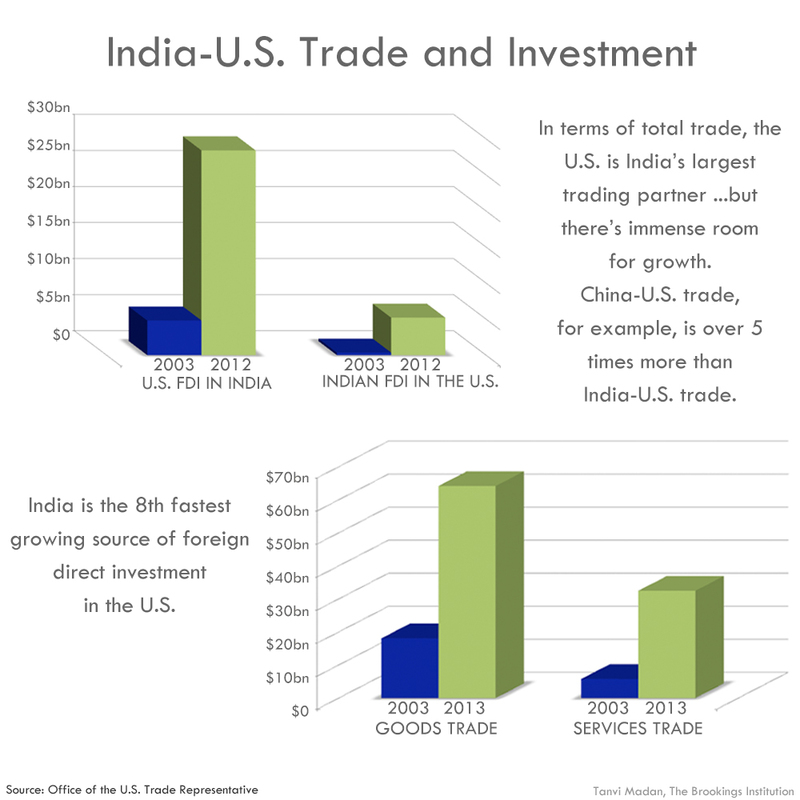 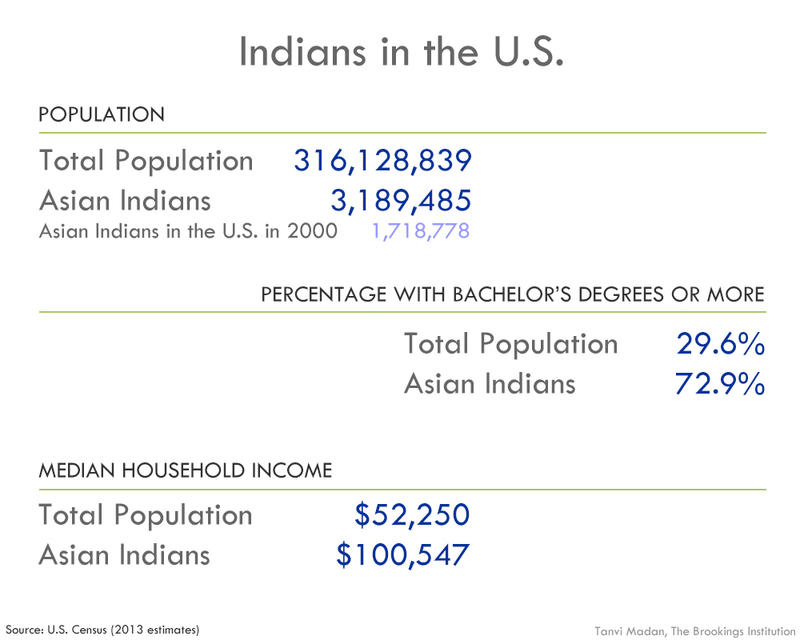 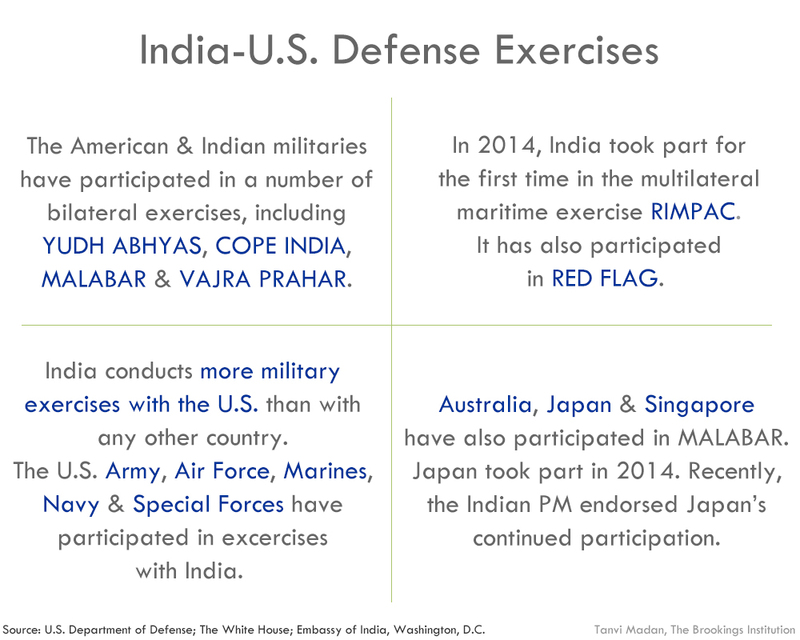 More recently, the Obama administration has said the U.S. relationship with India “will be one of the defining partnerships of the 21st century.” These 14 charts and graphics show that the relationship has changed in other ways as well, including the areas of high-level India-U.S. engagement, economic and defense ties, people-to-people connections amongst Indians and Americans and future opportunities to increase bilateral cooperation. 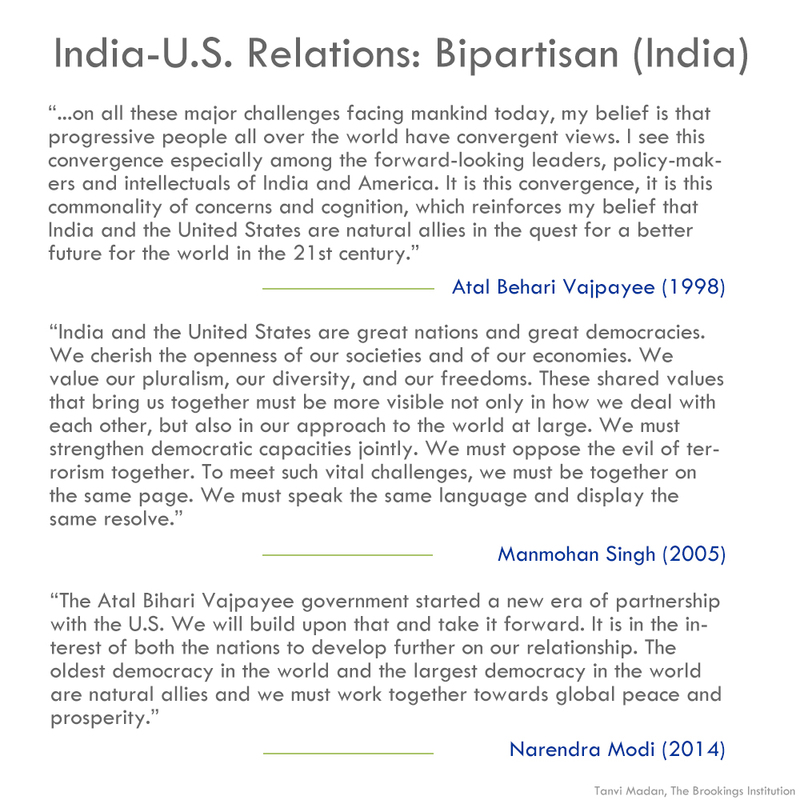 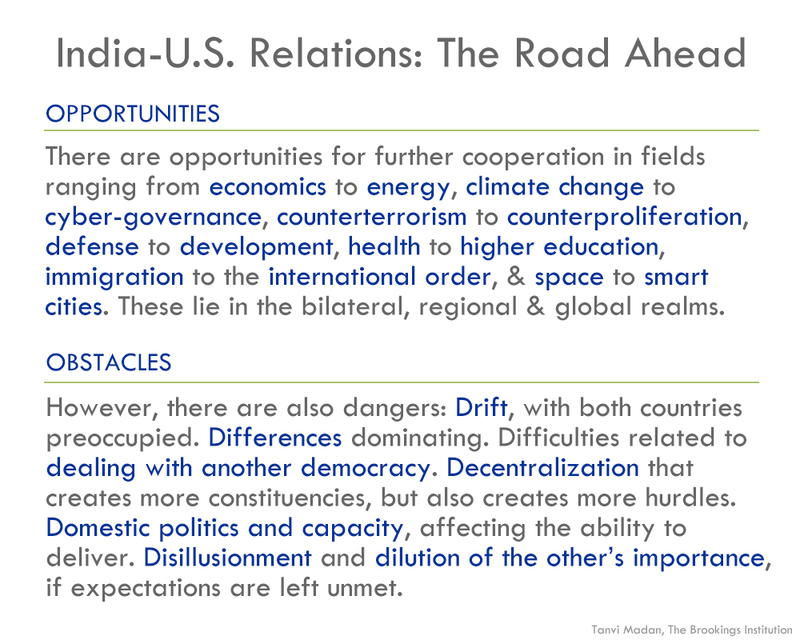 In advance of the Prime Minister Modi’s and President Barack Obama’s meeting in Washington, the Brookings India Initiative, which consists of the Brookings India Center in New Delhi and the India Project at Brookings, released a briefing book of 28 policy memos by over two dozen Brookings scholars highlighting areas of promise in the partnership between India and the United States and suggesting ways to translate those opportunities into outcomes.